"Bill Trombly Plumbing & Heating is top notch. A+ to Paul Gagne and his team! Thank you all for your excellent work and support throughout the entire project. If any prospective homeowner is looking for a recommendation for a heating system and/or AC system install, please send them my way. Thank you Bill Trombly Plumbing & Heating for presenting an awesome solution to my heating and cooling challenge! I look forward to working with you for many years to come." 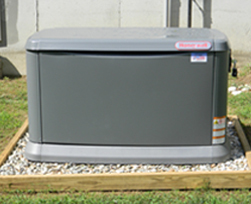 "I had a complete new propane forced hot water system with four zones installed. They came when they said they would, cleaned up after themselves and finished on time. There were no unexpected charges. I would recommend Bill Trombly Plumbing and Heating with no reservations"
"Just quality work, on time and price is reasonable."